I know this is similar to cam or dowel type fixings, and I have searched extensively for this part, but does anyone know exactly what type this is? Specifically the silver section, as I have enough of the screws/tighteners left, but I need more of the fixings. 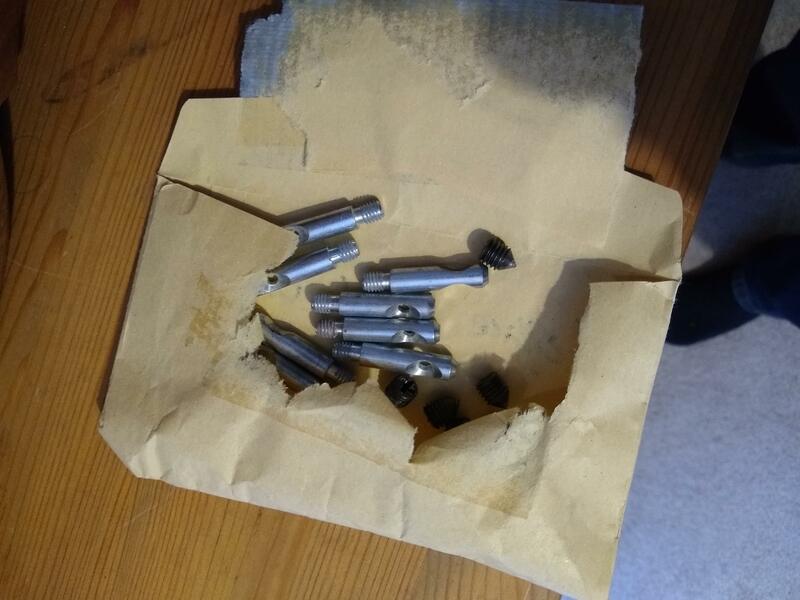 They are not quite the same as generic cam/dowel fixings as they have this cut out for the screw to go in and hold them in place. After more reasearch, it appears to be flat pack furniture assembly cam and dowel, more common on newer Ikea furniture. Try calling Ikea or checking online with them about replacement parts or extra parts. Or perhaps contact the manufacturer of the connector. Not the answer you're looking for? Browse other questions tagged screws fastener joinery fastening or ask your own question. What type of screws and anchors are used for concrete? Can I use a tap and die kit to change the thread pitch on an existing machine screw? How to resolve a rusting uPVC window fixing torx screw? Do I get away with the wrong screws and holes on a deck if the paint will cover both? How to screw into “used” holes in wood? How to mount metal box to wooden beam? What imperial machine screw has a diameter of 4.5mm and a thread pitch of ~1mm?